The Census released American Community Survey data in September 2018 that found 44.5 million or 13.7 percent of US residents were born abroad in July 2017. The figure shows that the number and share of US residents who were born abroad has been rising since its low point in 1970. 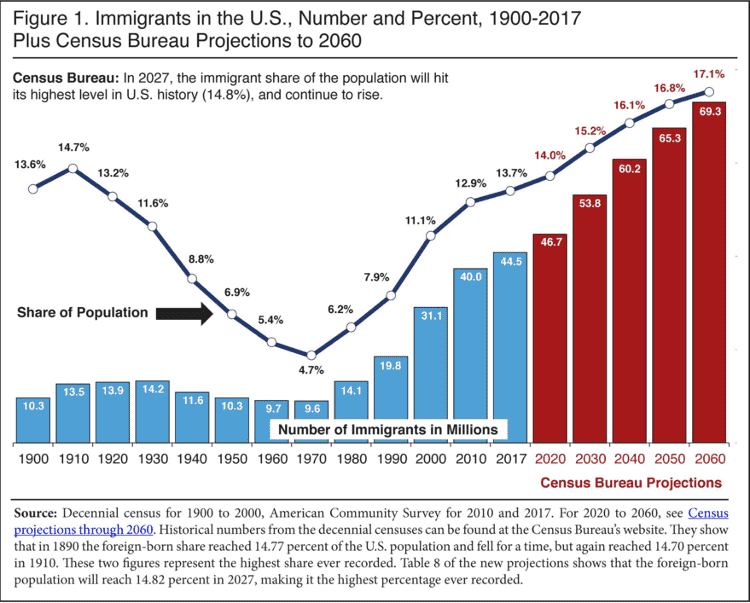 The Census projects that the number and share of US residents who are born abroad will continue rising to 14 percent in 2020 and to over 15 percent before 2030.